Kline's first novel is a captivating read. When a grandfather she never knew bequeaths her a house and 60 acres of land in Sweetwater, Tenn., a restless young artist leaves New York to recover her past and rethink her future. Cassie Simon's mother Ellen died when Cassie was only three; raised in Boston by her grieving father, she never knew her maternal relatives. Unprepared for the thick veil of mystery that surrounds them, Cassie is especially bewildered by her brusque grandmother, whom rumor credits with hiding a terrible secret about Ellen's death. In alternating sections told from their respective points of view, Cassie and her grandmother fight their separate battles to cope with the truth about the tragedy. Kline perfectly renders each woman's voice: Cassie's, probing and often uncertain, propels the narrative and creates an appropriate level of psychological suspense; the grandmother's quavers with the weight of memory as Cassie's search forces her beyond family myth to a painful and perhaps dangerous truth. The result is a powerful, immensely readable tale of loyalty and betrayal, family and memory, made fresh by Kline's often beautiful and always lucid prose. I was completely on board with this narrative, until about halfway through reading. 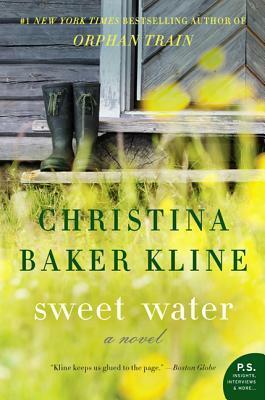 I was entranced by the writing I fell in love with while reading The Orphan Train, and while I held no expectations of Sweet Water out matching Kline's later books, I still held some expectations. This book was entertaining, to say the least, with it's bits of darkness, intrigue, and taboo. It was the tried and true formula of big family equals big secrets. It wasn't until about 'part four' that I realized that it was all starting to get a little out of hand, and not in the fun way. Big city girl, hates her big city life, and more importantly, particular people in her life. She decides to try on country life, to connect with a family that has been the epitome of mystery for her. Since her mother's death when Cassie was still at a tender age, the rest of her years were spent with a father that chose to not divulge more than he could handle. When Cassie receives word that she has received property from her deceased grandfather, her mother's father, she makes the dramatic decision to abandon ship, and set up shop in a new home, cities away from the sights and people she's come to know. When Cassie doesn't receive the welcome she expected, from a family she never knew, she sets out to discover why. Is she prepared for what she's about to find? I'm all for life changes, especially when it's made by a character in one of the books I'm reading. I'm attached to the idea of someone giving up comfort, for the unknown, even if I could never fathom doing it myself. It's why I have fiction, and why fiction has me. Sweet Water seemed to have started off on the right path, but veered so sharply left that I wasn't quite sure how to gather my thoughts when they went splaying. Kline's writing is beautiful, there is no denying that. 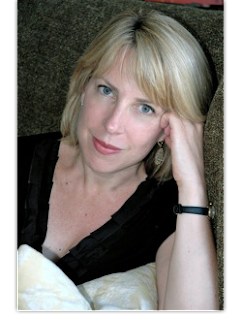 Her tones are melodic, her choice of words, rich with the right amount of dialogue and description. However, and this may very well have been intentional, I couldn't find the hand holds when it came to connecting with the characters in Sweet Water. Cassie was a favourite, but her choices soon gave way to frustration on my part-her first romantic interest was enraging enough, and when her second one entered the picture, my stomach just wasn't having it. In terms of mystery, I would hand out a solid 4. Many people claim to have seen what was coming, but I thought Kline did an excellent job of upholding suspense. The chapters voiced by Clyde, Cassie's maternal grandmother, were powerful, and added such a fantastic darker undertone. It was in those chapters that I found the most pleasure, the lover I am of a good psychological rousing. For nothing else, read Sweet Water for Kline's fantastic imagery, for the scenes that are hard to not play out live, in your head. It wasn't my favourite Kline book thus far, but I've only got two of them under my reading belt, and cannot wait to find out what else she has in store. Recommended for Fans of: Contemporary, Drama, Controversial Issues, Romance, Women's Fiction, Sarah Addison Allen, When the Cypress Whispers by Yvette Manessis Corporon. I read this book for the same tour, as my stop was earlier in the evening, but we sort of approached it from two different places -- I agree, the second romance had me a bit taken off-guard, but after all the years I gave to L&O: SVU, I'll tell you not much surprises me anymore! Except to say, I had to go back and realise this was a unique case of an adoptive son rather than who he could have been so to speak. (so not to give away a spoiler for your visitors/readers!) I was a bit startled the story was kept in and going strong, but for me it felt a bit more minor like the level of vulgarity used. What struck me the most was the journey Cassie took and the journey through her past to see where she stood in the present. I also think it was a testament about how secrets in families do not do any good to be left to fester and age. Communication is key, no matter how dysfunctional a family is they will end up with more ghosts than they can muddle themselves out of like Cassie's family in Sweet Water if they do not break the pattern. I'll have to tell you, outside of reading "Lemongrass Hope" recently, I quite literally 'flew' through Sweet Water and I credit that to everything you said about Kline's writing style. Are you going to be reading another one for the tour!? I am going to be reading Desire Lines . I decided to read Orphan Train in September; to give me a bit of time to soak into it and to allow myself the pleasure of finally having the ability to appreciate the story. I will have to drop back afterwards & talk to you about my impressions! Ooh, I completely forgot to mention -- the arc of the suspense within the backdrop of the story? I honestly guessed a few things wrong! So you can definitely say the mystery elements which I would consider fall under 'psychological suspense' were not ironed out and precognitive; you really had to go through the story and let it all reveal itself in its own accord. We equally enjoyed the passages which highlighted Clyde's perspective and revelations. I welcome your visit and reactions to my own ruminations.